Although I have been a reader since before the first grade, my passion in life has always been writing. Well, writing and theatre, which I actually managed to combine at an early age. When I was in the third grade, I wrote a story based on my life with cats called Miss Priss Finds a Kitten. It was all of 6 pages long (including crayon illustrations) and written in an early version of my cursive handwriting. It wasn’t for an assignment in class, I just wanted to write. And my teacher, Mrs. Sheffield, was amazed at my accomplishment. I look back on it now and wonder why there was such a fuss over this tale, but apparently it was a big deal in the school. I remember going down the hall to the first grade classes and reading the story to them, a feat because I hated talking in front of people. But it was apparently a success because I went back to my class and promptly put the story into play form, including making puppets of the main characters. When my teacher discovered this, she again allowed me and a couple of my friends, to take the cardboard puppet theatre and puppets down to the first grade class again to put on the show, which was a great hit as I remember. My passion continued into fourth grade, where I recall I relished an historical assignment. Mrs. Harris put a picture of what I remember was a pioneer settlement on the board and asked us to write a story about what was happening in the picture. I wrote and wrote and wrote, probably for the rest of the day. But my crowning glory was in my eighth grade English class. The class was given a one-page writing prompt about a brother and sister who invent a time machine and are whisked away to… and you had to take it from there. As you can see, I have always enjoyed writing, although it took me a long time to realize it was something I could do as a career. From the very humble beginnings of Miss Priss Finds A Kitten to my current WIP What a Widow Wants, it’s been a fantastic journey that I feel has only just begun. This month, the term ‘new beginnings’ is pretty accurate for me. And I’m feeling a bit ambivalent about it. As the new year dawned, I sold my house. That means I downsized from a three-bedroom, walk-out basement home in the country to a two-bedroom patio home in our small city. I enjoy where I now live. It’s in a quiet residential area and best of all, it’s close to everything. No more driving eight to twelve miles one way to the nearest shopping areas; no more dodging deer who loved to play “who can wait longest to leap in front of Barb’s car;” no more holding my breath as I navigated the icy, snowy hills and curves enroute home in the winter. But it also means no sitting on my porch to gaze at the expansive night sky, no waking to a handful of wild turkeys playing follow the leader several feet from my bedroom window, or coming home after dark to surprise even more deer dining on fallen apples under one of my three apple trees. Still, I’m glad I made the decision. When I moved, however, selecting what I would take with me and what I wouldn’t was a challenge. Most of the extra furniture and household items went to children and grandchildren and much went to donations. Sounds reasonable and for those of you who have moved, it probably sounds familiar. Friends say the house worries will go away eventually, and slowly I’ll replace all the items I thought I could live without, but can’t. And finally I’ll get back to a writing schedule that, sad to say, has been seriously affected. Ironically, when I left, Roark, the hero of my WIP, he faced ‘new beginnings,’ also. Here’s a secret: He’s going to love his even more than I do mine! Anyway, this birthday will be the first one without my mother-in-law, Barbara. She passed away last summer after a painful illness that lasted for the final six months of her eighty-eight years. When I met my husband, I was eighteen years old. From the start, his mom treated me like a second daughter. Special family meals, Christmas gifts, birthday cards. In fact, my husband’s sister and I share the same birthday. Poor girl, I always felt bad that she ended up sharing her birthday with me, but she never once complained, instead, included me in a joint celebration. That’s my husband’s whole family. Sweet, kind and thoughtful. Barbara read all of my books. Was always interested in what I was writing and how things were going. Would tell me what characters were her favorites and how much she disliked the villains. I gave her a copy of every new release, even letting her borrow our kindle (she’d never used one before) because she wanted to read one of my historical romances that wasn’t in print. If she knew I had a new book out and she hadn’t received a copy yet to read, I heard about it. 😊 I know without a doubt that my husband and I both got lucky in the in-law department. Every year on or near my birthday, Barbara would fix me a chocolate cake – my favorite. She always waved away my thanks, saying it was nothing, but it meant a lot to me. It was a wonderful tradition that I always looked forward to. Not only the cake, which was wonderful, but the fact that my husband’s mother was caring enough to make me feel like her own daughter, year after year. So, this year will be different. Barbara’s absence will be felt. She won’t be at her house waiting for us, cake on the kitchen counter, a smile and birthday greeting when I walk in. But there are so many fond memories, over thirty-six years’ worth, I think those will overshadow the sadness. Time for new memories, new beginnings. Maybe for my birthday, my husband and I can learn to scuba dive, or mountain climb. Probably not, but I have a feeling he’ll make sure there’s chocolate cake. For most of us today winter is, at worst, an inconvenience rather than a dark, seemingly endless struggle for survival. I suspect if I actually traveled into the past, I would quickly discover the good old days were not so “good” as nostalgia paints, especially in the heart of winter, and come home as quickly as possible! To be fair, those who lived in earlier times had no notion of how much easier life would be for their many times removed descendents. I’ve often tried to imagine what it would be like to have to slog outside in deep snow to get water from a stream or a well (if I was fortunate enough to have access to a well), or need to break ice to retrieve the water and then have to heat it over a fire to melt and warm it. 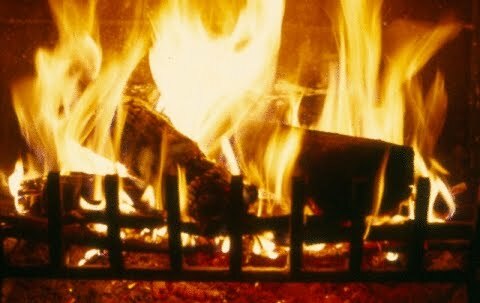 What would it be like to depend on a smoky wood, coal or peat fire, one that I had to build myself, to keep warm or to cook food? I already know how hard it is to accomplish any kind of work with nothing but candlelight or firelight to see by – not fun. Travel in winter was even worse. Most folks didn’t, even those who possessed a means of transportation and halfway decent roads. Or imagine standing watch on a stockade wall. Brrrrr…. flirtation with frostbite. Still, I like to imagine our ancestors, when the quest for survival gave them a few moments pause, appreciated the same beauties in winter that I see: the reflection of the sun on untrammeled snow, the deep, wondrous quiet, the purity of the air, the natural “sculptures” created by snow and ice. It is this allure of the season I seek to bring into my stories. In olden days, as in ours, they had much to appreciate about the heart of winter, including time to evaluate the past and consider the future. It is a time of anticipation for the beginning of the new year and what we might achieve if fate and fortune allows. As this new year begins, I offer the hope that at least some of the dreams we’ve each looked for and worked toward in 2017 will come true in 2018. It’s the Eleventh Day of Christmas here. An odd sort of celebration . . .
I’m sitting in my living room by the fire watching snow blow past the windows in waves. Here on the Massachusetts coast south of Boston a blizzard is roaring around us. Fortunately we’re about five miles west of the ocean, so the gigantic wave warnings are not a personal concern, although we’ve got friends who live a lot closer, and we’re only halfway through the projected period of the storm. As always seems to happen, high tide is higher than usual, as the moon is still close to full, so they have suggested voluntary evacuation for those oceanside, with emergency housing provided. And they say that driving will be practically impossible—one road through the famous Big Dig tunnels has been closed as the snow piled up at its exit to the open road, slightly uphill and the snow so high cars and truck were unable to drive over it. Houses in Scituate, our closest small town, are being pummeled with wave-carried blocks of ice. Front Street, the main drag, is flooded and the National Guard is out. Hope those living on the two roads going down the spit of land leading out to the lighthouse between the harbor and the open ocean evacuated as advised. Hey nonny nonny and a great shout to all! Tomorrow the snow and wind will be moving up the Atlantic coast, and we will be at peace. Except that the single-digit temperatures that tormented us for the days since Christmas will be coming back, dipping into below-zero (only -3 or -4) temperatures to boot. Our poor furnace that struggled to keep us in the low 60s when the thermostat is set on 70 degrees during the 10-day stretch of frigid cold might find it easier when the exterior of the house has warmed up (some?) during yesterday and today when we were in the tropical mid- to high 30s. The wind is howling down the chimney. It all feels very Little House on the Prairie. A new adventure. But when I write about the winter during Regency times—it was, after all, during the late stages of the Little Ice Age—I’ll have all sorts of new experience to draw on! And it’s beautiful. Really beautiful. An odd Christmas custom that dates back centuries is telling scary ghost stories. 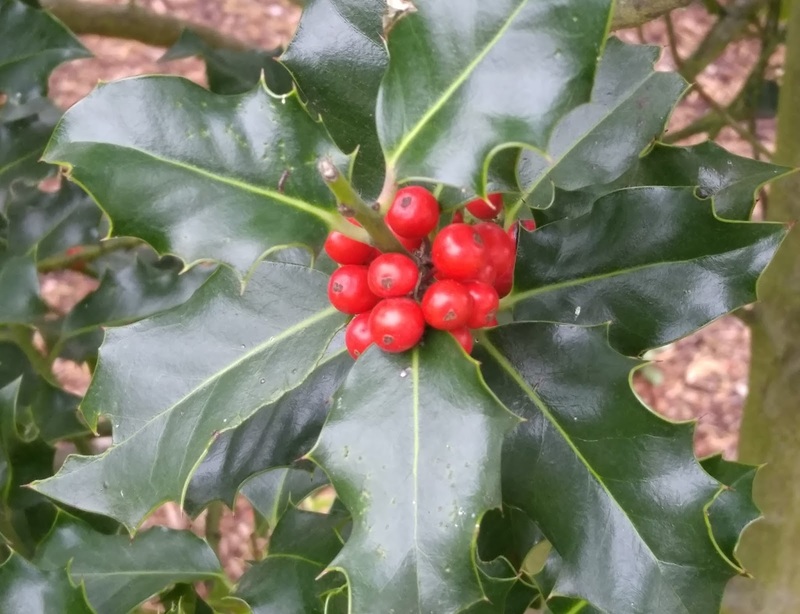 Have you noticed in the popular Christmas Song, “The Most Wonderful Time of the Year” the verse that says: “Tales of the glories and scary ghost stories of Christmases long, long ago” and wondered over it? 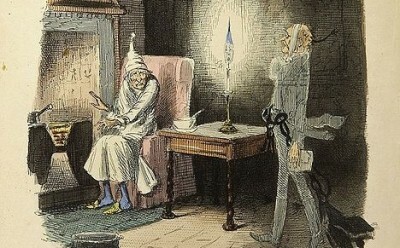 Telling ghost stories is an age-old tradition that many claim cropped up in the Victorian Era, including the traditional Christmas story, A Christmas Carol. However, this custom dates farther back than that. Washington Irving penned a novel in 1819 called The Sketch Book of Geoffrey Crayon, Gent. The hero in the story visits friends in an English country house during Christmas season in a section entitled Old Christmas. While visiting Bracebridge Hall, our hero basks in the hospitality of the squire and a traditional English Christmas, which includes telling scary “winter tales.” Winter tales have long included tales of ghosts, witches, monsters, and other creatures of darkness. In A Natural History of Ghosts: 500 Years of Hunting for Proof the author, Roger Clarke, tells of a popular story claiming that shepherds saw ghostly civil war soldiers battling in the skies just before Christmas 1642. Even earlier, the Bard, William Shakespeare penned a collection of scary stories entitled Winter Tales.” This romance weaves a tale of tangled identities and apparent death and revival. This suggests that telling weird or bizarre stories whilst gathered around a winter’s evening fire was a wide-spread tradition long before the Bard’s time. Since traditions such as this have roots in pagan practices dating back to medieval times, I assume winter tales including ghost stories have been a Christmas tradition since the days of cloak and dagger. But at the very least, the practice of telling ghost stories at Christmas has been in practice since the 1500s. However, I’m happy that telling ghost stories, except for watching the movie or reading the book, A Christmas Carol, is no longer a major part of American Christmas customs. Can you imagine getting a child to bed who is both excited about presents and frightened of ghosts? Now that is scary! Still, this practice of telling ghost stories is a plot point that works well for my Christmas novel, A Christmas Secret. 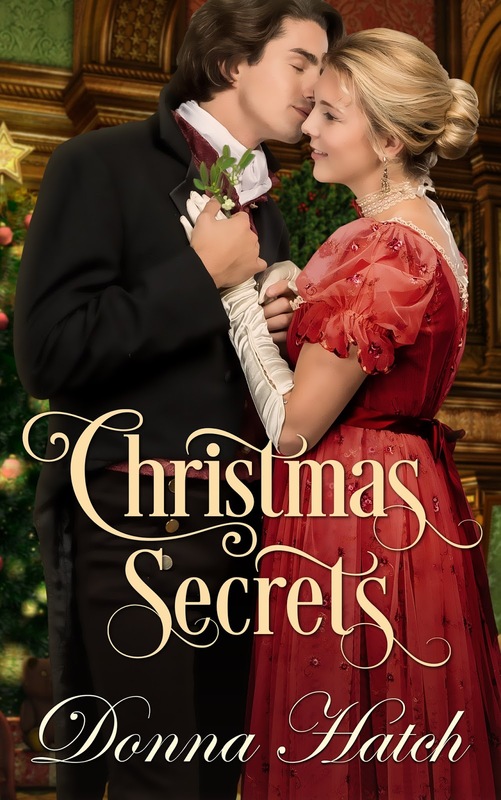 Holly has two Christmas wishes this year; to finally earn her mother’s approval by gaining the notice of a handsome earl with an impeccable reputation, and learn the identity of the stranger who gave her a heart-shattering kiss…even if that stranger is the resident Christmas ghost.